Take Control Of Your Money And Life. Sign up to the Momentum's Finest Newsletter to help take control of your money and life. Don't worry we won't spam you! You will receive 1 email every Saturday morning with the latest Making Momentum blog posts, a link to the Weekly Roundup, special giveaways and the occasional bonus offer. Check examples of the content included in previous editions of the Weekly Roundup here. Momentum’s Finest Newsletter subscribers have the opportunity to win the Monthly Momentum Giveaway. Giveaways will include the most respected books on personal finance, blogging tools, gift cards and more. The October Giveaway is a $25 Udemy Course Gift Card. Making Momentum's goal is to help you take control of your money and life. Want to stay connected with us? Don't worry we won't spam you! You will receive our Weekly Newsletter every Saturday and only our content focused on helping you live your best life. Plus you get access to free giveaways! 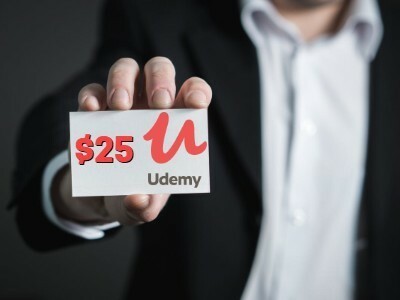 The October Giveaway is a $25 Udemy Course Gift Card..
NO BS or spam, just great content. Unsubscribe at any time.